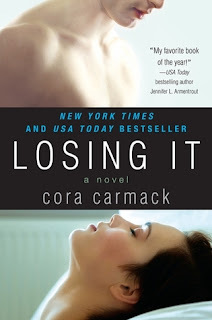 Losing It is a fun, charming book from author, Cora Carmack. Bliss is about to graduate college. She has one thing more important then graduating on her mind and that is losing her virginity. Yep, Bliss is a virgin. She and her friend hit the club scene. Just as Bliss is about to call it a night she meets a guy. She and he hit it off right away. They head back to Bliss's place. Only at the last moment Bliss gets cold feet. She leaves the guy naked in her bed and rushs out the door with an excuse about her cat. Thinking she can put this horrible moment away, Bliss discovers that the guy in her bed is her new professor. 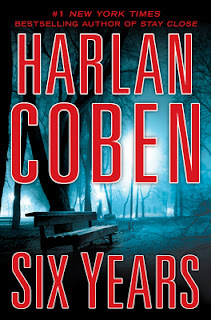 Don't wait Six Years to read this book. Pick up a copy now and read what all the hype is about. Jake Fisher fell in love with a woman named Natalie. Only she married another man. She made Jake promise to not look for her and just forget her. That was six years ago. If it was not for the death notices in the newspaper then Jake may have kept his promise longer. Jake sees his chance to get with Natalie again when he reads that her husband has died. Jake decides to attend the funeral. Funny thing is that the widower is not Natalie. Things quickly spiral out of control. Jake is now on a wild goose chase to find Natalie. Morgan Childs is part of a group known as the Rich Girls Club. She and her three good friends are members of the club. Morgan wants to do something really impressive. She comes up with the idea of having her friend, Brooks run for governor. It is time for a woman to be in office. Brooks is not sure she wants to have all of her dirty laundry aired out in public. Morgan has a sure fire plan. She and the other ladies will get in bed with the competitation. They will blackmail the others. It all sounds good until things get ugly amd someone goes after Brooks. Verlaine is a hunter. He was duped by Evangeline but never again. Fool me one, shame on you. Fool me twice, shame on me. A body appears bearing the idenitity of Evangeline. So you can imagine Verlaine's suprise when Evangeline appears back in his life. She asks for his help. She presents him with an decorative egg. Before thwy can figure out what the egg is about, Evangeline is kidnapped. 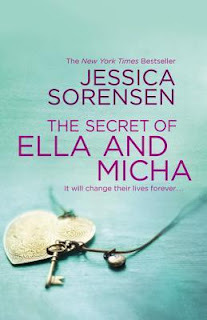 The Secret of Ella and Micha will turn out to be like your best friend...one to be treasured, will provide you with fond memories, and will visit again and again! Eight months ago, Ella kissed her best friend, Micha. Then she walked away from him. She is returning home for spring break a changed person. She left a girl but is coming back a woman. Her roommate, Lila is along for the ride. Ever since Ella walked out of his life, Micha can not stop thinking about her. At first Micha can not believe his eyes. Ella looks like a popular that they went to school with and not the gothic chick that Ella used to be. However Ella may have changed on the outside but Micha knows her all too well. He is the only one that can break through the walls she has put up. 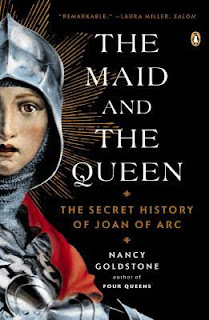 I am familiar with the story of Joan of Arc but not the back story of how she received a strong push from a woman named Yolande of Aragon. Yolande is a mystery to me. She was strong, smart, convincing, and a great chessmaster. I call her a chessmaster because in order to play the game of chess you have to be strategic, patient, have a good game plan and anticpate your opponent's moves. Also as the saying goes "Behind every great man is a great woman". Ben Mercy is the newest bounty hunter to join the King Fugitive Apprehension aka KFA. His first official mission is to track down and stop the number one fugitive. Ben is joined by another bounty hunter named Wolf. Zoey Cortez’s father is a mean man. When Zoey first meets Ben, she is literally swept off her feet. The more time that Zoey spends with Ben the harder she is falling for him. Hot Pursuit is the last book in the Bounty Hunter series. I have enjoyed reading this series. While I would not want to be pursued by a bounty hunter, I would not might being the love interest for one. Shush, just don’t tell my husband. To be honest, while this book was not my favorite, it was alright. For me I liked both Ben and Wolf for different reasons. The perfect guy would have been someone that had Ben’s personality but with Wolf’s insatiable, sexual desire. Matthew Graham committed the mistake of his life when he cut off his brother’s nose. In revenge, Luke Graham has Matthew abducted and transported to the Colony of Virginia, there to be sold as indentured labour – a death sentence more or less. 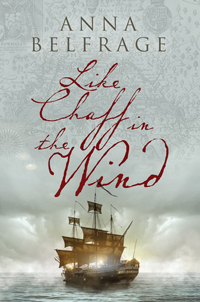 Matthew arrives in Virginia in May of 1661, and any hope he had of finding someone willing to listen to his tale of unlawful abduction is quickly extinguished. If anything Matthew’s insistence that he is an innocent man leads to him being singled out for the heaviest tasks. Insufficient food, grueling days and the humid heat combine to wear Matthew down. With a sinking feeling he realises no one has ever survived the seven years of service – not on the plantation Suffolk Rose, not under the tender care of the overseer Dominic Jones. Join Anne Patrick, author of the inspirational romantic suspense book, Betrayal: Wounded Heroes Series Book 3, as she tours the blogosphere March 18 through April 12 on her first Book Blast with Pump Up Your Book! Anne will be giving away a $25 Amazon GC/Paypal Cash to one lucky reader! To enter, fill out the Rafflecopter form on the participating blogs below anytime during the tour and good luck! Drew Presley's wife was murdered while he was serving his country in Iraq. Giving up a career he loved, he's returned to Dauphine Island to care for his son and try to make a new life for them. The unsolved murder of his wife continues to plague him. The islanders are very protective of their own and he fears a killer is among them. The more he searches for answers though the more dangerous it becomes. Just as troublesome is his attraction to his son's second-grade teacher. The only reason that I am familiar with Linda is because of the movie, The Perfect Storm. Other then this little fact, I am not that familiar with Linda. 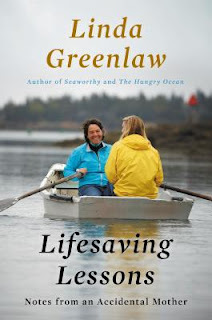 In Lifesaving Lessons, I got a brief over view of Linda and how she got started in the business. I think she is a good woman. She has earned her respect. It is not easy to find a good balance of tough and yet still being a woman. I could see how Linda struggled at first with the idea of suddenly becoming a mother. Not only a mother but a mother to a teenager. At least when Linda is on the boat she does not have to worry about the sea creatures talking back to her or going over on their minutes due to texting. The Abundance is filled with happiness, love, great food, loving characters, and a pinch of spice to make the right recipe for a best seller! Mala and Ronak’s mother has a secret. She has terminal cancer. However is does not want her children to know as she does not want to ruin their visit home. She does not do a good job of hiding her secret. Once Mala and Ronak find out, they decide to spend more time with their mother. For Mala this means learning how to cook traditional Indian food. For Ronak, he pays a crew to plant his mother’s garden as she can not get out to do it herself. I have not read Mr. Majmudar’s Partitions, however after reading this book I will check it out. I absolutely loved, loved this book. Yes, I said loved twice. I could not read this book fast enough. Neil Abbott was found knocking at deaths door after a winter storm raged over Albatross. People thought that Neil had gone mad but they were incorrect. Neil was just saving the world. However to first learn how Neil saves the world; you have to learn about the three transformational experiences that defined Neil’s life. 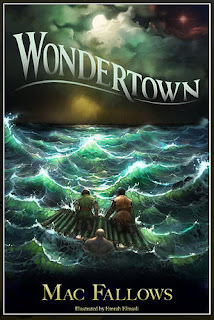 Starting with Wondertown. Neil and his parents are driving to visit his grandmother, Constance. Constance has a nickname for Neil and it is Rabbit. He asks her why she calls him that. Constance proceeds to tell Neil the story. It takes place in a far off land that is divided into five regions…the Hills, forests, plains, valleys, and seas. Everything was fine until a young couple crossed the borders between the Hills and the Forests. This is where the story begins. 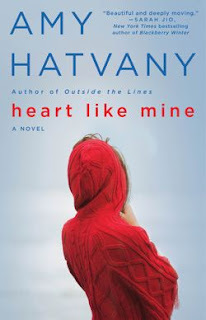 Heart Like Mine is a most definite must read book! Grace has had bad luck when it came to dating men. It seems however that her luck changed when she met Victor. Victor is a gentleman. Grace is falling hard for Victor. So much that she is willing to consider settling down with him and becoming a step mom to his two children, Max and Ava. Luckily for Grace Max and Ava live with their mother, Kelli. Grace’s world gets turned upside down when Kelli unexpectedly dies. Now Grace must quickly step up and learn to be mom. I have never read any books by this author. However, after reading this book I would put Amy up there with Jodi Picoult. Heart Like Mine is a most definite must read book! I liked the back and forth voices of the three women involved in this book. I was able to step into each of their shoes and see and feel what they were feeling and experiencing. If I had to pick a favorite I would not be able to as I could relate to all of them. Hell Above Earth is an incredible story of two friends bond that is not to be missed. I am a fan of aviation. 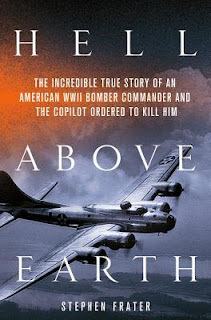 Reading abuot WWII as it related to aviation helps to make this subject matter more interesting to me. I have never heard about Werner Goering or Jack Rencher. After reading this book I agree with Mr. Frater's sentiments about Goering and Rencher... they are both good men, humble aviators, warriors, and best friends. Reeling from his wife’s unsolved murder, Malcolm Cutter is just going through the motions as a chauffeur and bodyguard for Hollywood’s rich and famous. Then a pair of Guatemalan tough guys offer him a job. It’s an open question whether they’re patriotic revolutionaries or vicious terrorists. Either way, Cutter doesn’t much care until he gets a bomb through his window, a gangland beating on the streets of L.A., and three bullets in the chest. Now there’s another murder on Cutter’s Mind. Release Date: November 29th, 2012. 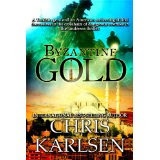 You can download a free copy of book two, Byzantine Gold on March 16th here. 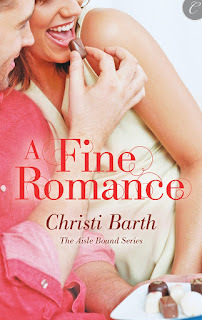 Book Two in the Aisle Bound series is wonderful. It is funny, serious, will make you bee-line to your favorite bakery (YUM!) and a great way to spend a wintery day at home. When Mira is left stranded at O’Hare Airport by her best friend Ivy’s “guy” friend Sam she is way to the left of pissed off. The next day she unlocks the door to her new store and sees an intruder whom she promptly bops on the head with a lead crystal vase. Yep, Sam – who has a key to let deliverymen in. Not an auspicious start for a friendship, much less more. A Fine Romance is Ivy’s dream store and Mira has been hired to run it. Over-the-top food, picnic baskets, napkins, the whole deal. All aimed at the consumers ending up eventually at Ivy’s main store, Aisle Bound. A great marketing strategy. 1. Can you please tell us a little about Giving Myself Permission: Putting Fear and Doubt in Their Place? 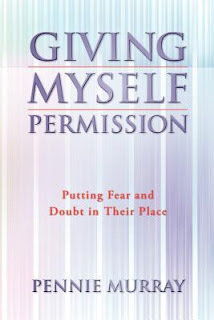 Giving Myself Permission: Putting Fear and Doubt in Their Place is a transformative, self-coaching book that will help to lessen the grip of the emotions that discourage, frustrate and sabotage success, and end the addiction of seeking the approval of others. I am not a history buff so I am not that familiar with most of the authors featured in this book. However it seemed like things that I could find out about the authors from the internet. So what I am saying is nothing new learned other then getting myself familiar with the authors. However I do have to say that the bad boys and girls of literature at least were productive and made the most of their badness then the celebrities of Hollywood. The authors helped to produce history of great reading. All that celebrities do is make messes and help sell tabloid gossip magazines. They don’t even write the magazines. Oh how our world has changed. I am not a gossip fan. I would rather get my stories from books. I could tell that Mr. Shaffer did do his homework. He shared details about the authors in this book in good detail. Enough that the reader got something from each short story. 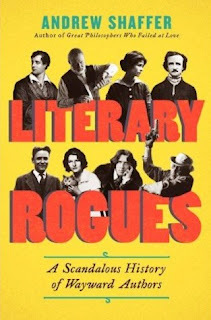 Literary Rogues is a good conversation book. The foundation for the philosophy of giving myself permission was laid during one of my knock-down, drag-out fights with God! Yes, you read that right. You can call me arrogant, sacrilegious, gutsy, or just plain stupid, but I was none of those. During this particular fight, I had accused Him of being a liar. Not only that, I blamed Him for playing favorites between men and women, and among races. It seemed a valid fight to me. Of course, I had been taught that God didn’t have favorites, and that He loved all of His children the same. Well at the time, I didn’t feel that was true, at least not for me. Today, I know better, but that day I felt like a stepchild who just never seemed to get the support, love, and attention the other kids were getting. The Crooked Branch is a worth while read!